Wild Card :: Movie Information :: RabbitTV GO! 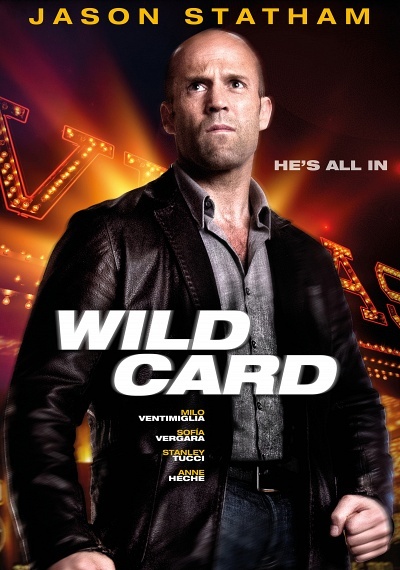 Nick Wild (Jason Statham) is a Las Vegas bodyguard with lethal professional skills and a personal gambling problem. When a friend is beaten by a sadistic thug, Nick strikes back, only to find out the thug is the son of a powerful mob boss. Suddenly Nick is plunged into the criminal underworld, chased by enforcers and wanted by the mob. Having raised the stakes, Nick has one last play to change his fortunes…and this time, it's all or nothing. From two-time Academy® Award winning writer William Goldman.